SEOUL Weekly: SEOUL March Issue Released! Celebrate the start of spring by picking up a copy of the March issue of SEOUL, Seoul Selection’s monthly travel and culture magazine! In this issue, we explore the charming alleyways of Ikseon-dong, visit the lovely seaside city of Yeosu, talk with all-natural cosmetics company CEO Min Jung-gi, take in Buddhist martial arts at Golgulsa Temple, and much, much more. Yeol has a new series of lectures going. A look at “shame” in Korea. The government gets tough on unlicensed Chinese tour guides. “Birdman” sparks controversy in Korea. Korean millennials are not an optimistic bunch. Lots and lots of ridges seen from Mt. Daedunsan. Seagulls and fish at Gyeongju’s Gampo. It’s already spring at Busan’s Tongdosa Temple. The world from Saetgang Station. As one of 2014âs most notable breakthrough artists, Ed Sheeranâs first visit to Korea is generating much anticipation and buzz among the pop-music fans. The British singer-songwriter debuted with album â+â and rose to worldwide stardom with hit songs âThe A Team,â âGive Me Loveâ and âLego House.â Released in June 2014, his second album âxâ became more successful than the first by topping both the UK Albums Chart and US Billboard 200 and by becoming the most-sold album of the year within just six weeks of its release. Hit producers Pharrell Williams, Benny Blanco, Rick Rubin and Jeff Bhasker participated in the making of this album, incorporating the warmth of acoustic folk music and the catchy hooks of hip-hop and R&B. The Song âThinking Out Loudâ from the album is still topping the Billboard charts to this day. Enjoy the beginning of spring with the sweet jazz melodies of violist Richard Yongjae OâNeill, pop pianist Yoon Han, double bassist Sung Min-jae and pianist Chris Lee. Star violist OâNeil and double bassist Sung Min-jae will perform a rendition of â50s classic jazz songs from Louis Armstrong, Dave Brubeck, Edith Piaf and Nat King Cole. Berklee College of Music graduates Yoon Han and Chris Lee will perform âAutumn Leaves,â Thelonious Monk’s âStraight, No Chaserâ and songs from the Italian film âCinema Paradisoâ (1988) on piano. Fans of theatrical plays should be on the lookout for the famous theater company Compliciteâs first performance in Korea. The company is well-known for incorporating media and text to create a dreamlike ambiance on stage, strengths that are sure to out in full force for the troupeâs first childrenâs play in its 30-year run. âLionboyâ is based on the children fantasy trilogy of the same name written by Zizou Corder and follows the adventures of Charlie Ashanti, a man who accidentally acquires the ability to speak the language of cats. Daelim Museum and the McCartney family have collaborated to display Linda McCartneyâs candid but inspiring works of photography. Though Linda McCartney is known for capturing the images of many famous artists such as Jimi Hendrix, Bob Dylan, Eric Clapton, her husband Paul McCartney and the Beatles, for this exhibition, viewers will get to take a more intimate look into Lindaâs life as an artist, activist, wife and mother. The Susubori Academy is devoted to the instruction of proper brewing techniques and offers beginner courses as well as an advanced master brewers course (available to those who have completed the intro class). This introductory class is specially organized for members and friends of the RASKB. The cost of the class covers instruction, supplies, and a bucket of hand-made magkeolli for each participant. The class size is limited to fifteen people maximum and will be held if a minimum of 8 people have signed up by March 2. 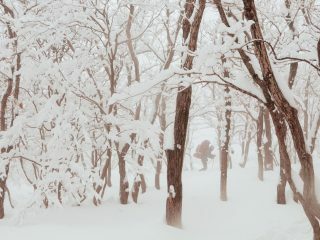 Snowy forest on the Seonjaryeong Ridge, PyeongChang, Gangwon-do. Photographed by Robert Koehler. http://magazine.seoulselection.com/wp-content/uploads/2018/01/Seoul-logo.png 0 0 rjkoehler http://magazine.seoulselection.com/wp-content/uploads/2018/01/Seoul-logo.png rjkoehler2015-02-26 05:28:552015-02-26 14:31:49SEOUL Weekly: SEOUL March Issue Released!